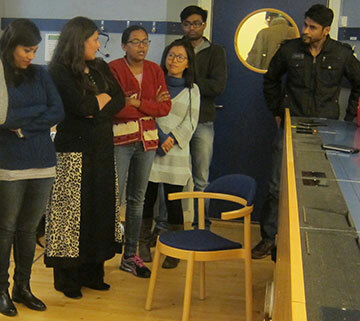 Sunandita Mehrotra, India in conversation with Rajeshwari Yogi, student of Wireless Communicaton at Lund University. 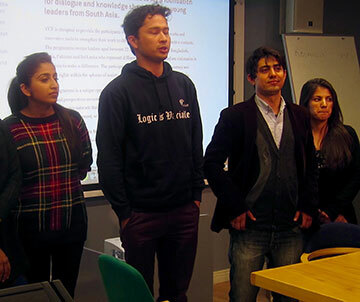 On Monday 15 February 2016 SASNET, along with its student organisation SASA, organised a Fika without borders event in Lund for the participants attending the Young Connectors of the Future (YCF) programme which is being arranged by the Swedish Institute (SI). 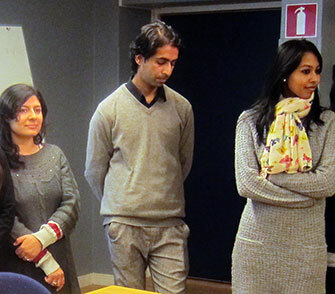 29 dynamic young individuals from Afghanistan, Bangladesh, India and Pakistan – 8 from India, 9 from Pakistan and six each from Bangladesh and Afghanistan – spent three weeks in Stockholm during September 2015. 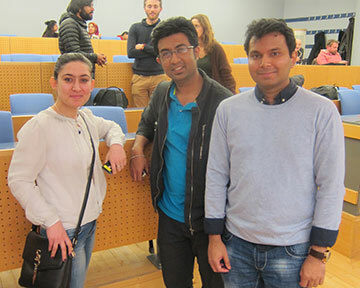 Most of them now come back for a follow-up week in Malmö during the period 15-19 February 2016. 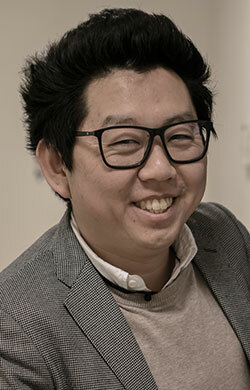 SASNET deputy director Lars Eklund was involved in the planning of the 2015 programme, and had invited the group, led by Ulrika Rosvall from SI to the Lund event. 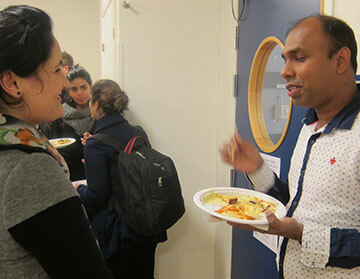 The gathering was held in the auditorium of Lund University’s External Relations building, Stora Algatan 4 in central Lund. 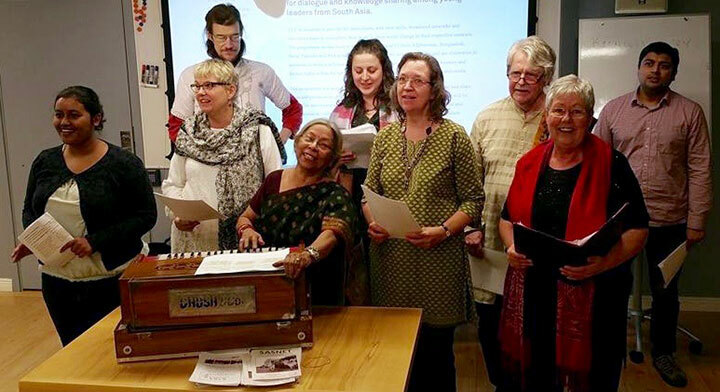 The YCF programme participants presented themselves and the work they are involved in back home in South Asia, nice vegetarian food was served, and the Lund based International Tagore Choir performed, a much appreciated performance (listen to the recording made by Mukesh Meghwar). 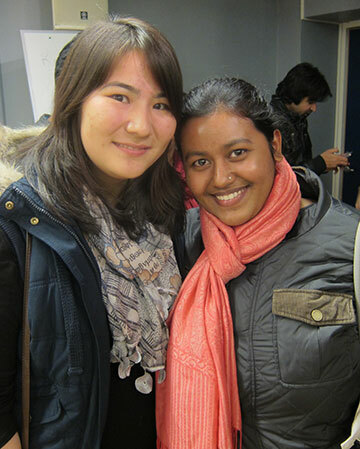 Many Lund University students turned up for the event, mingled with the YCF participants and established new contacts. 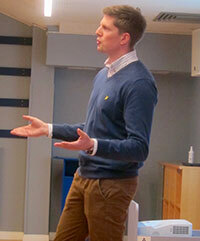 Lars Eklund presented SASNET and its activities, and Daniel Gunnarsson (photo) from Lund University’s External Relations division presented Lund University as a whole. The documentary photographer Danial Shah from Pakistan showed his film ”A Daughter’s Lament – Borders that Separate”, a very touching and excellent production screened in Kashmir. (Photo to the left). More information about Danial Shah. YCF is an intercultural leadership programme that aims to lay a foundation for dialogue and knowledge sharing among young leaders from South Asia. The aim is to train young leaders, promising professionals, social workers and entrepreneurs aged between 22 and 32 from South Asia, and to provide the participants with new skills, broadened networks and innovative tools to strengthen their work to drive social change in their respective contexts. The participants represent different sectors of society and are visionaries in positions to make a difference. The participants are actively working for democracy and human rights within the spheres of society, culture, politics, entrepreneurship and media. Lund International Tagore Choir made a much appreciated performance. From left to right: Rubana Musharrat, Lena Andersson, Jonas Bredford, Bubu Eklund, Victoria Lesinska, Pia Holmberg, Lars Eklund, Kristina Wallén and Conan Mukherjee. 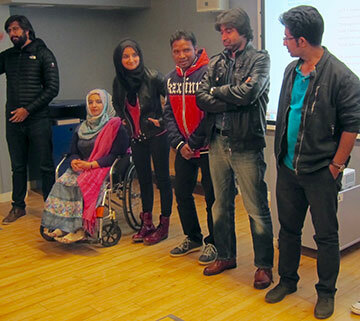 Danial Shah and Tanzila Khan, Pakistan; Yusra Husain, India; Manik Soren, Bangladesh; Shah Meer, Pakistan; and Atique Mehdi, Bangladesh. 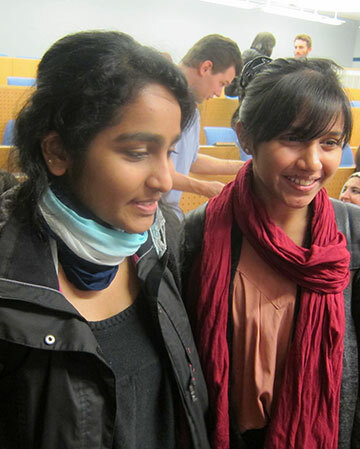 Nazifa Alizada, Afghanistan; Sunandita Mehrotra, India; and Shukria Rajabi, Afghanistan. 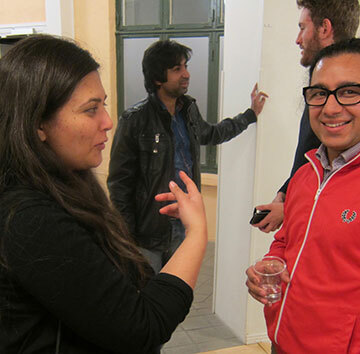 Maryam Safi, Afghanistan and Atique Mehdi, Bangladesh met Shamrat Asfaq, originally from Bangladesh but now living in Sweden. Bubu Munshi Eklund and Ulrika Rosvall. 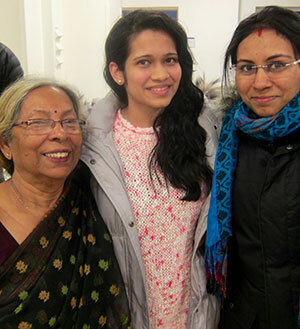 Nazifa Alizada met Rubana Musharrat, both alumnis from Asian University for Women in Chittagong. 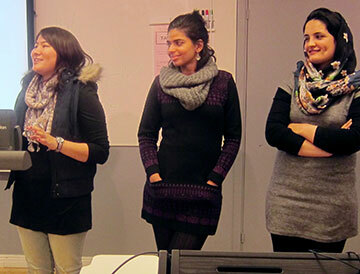 Student friends from the Maldives, now living in Lund. Lubna Hawwa to the right. Ayesha Siddique Khan met Talat Bhat, Kashmiri now living in Lund. 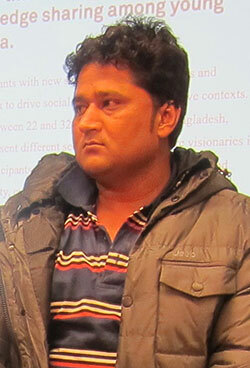 Shukria Rajabi met Mohamed Fawas from Sri Lanka. 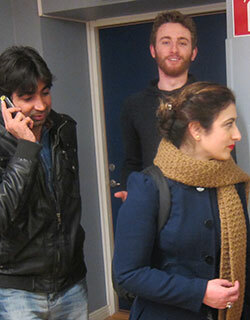 Smitri Nagpal, India; Roohullah Gulzari, Shah Zaman and Shamim Bibi from Pakistan. Shah Meer from Pakistan, and Sheba Saeed from Institute of Applied Social Science, University of Birmingham, UK..
Sarwar Jahan, Pakistan; Deepak Ashwani, India; and Mehnaz Khan, Bangladesh. 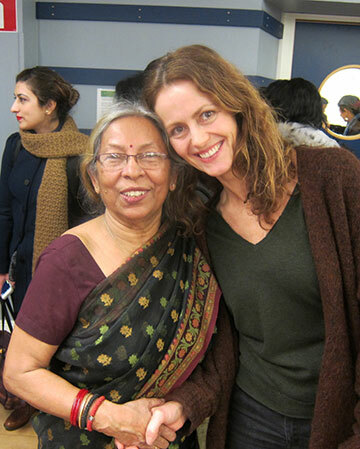 Bubu Eklund with Rajeshwari Yogi and cc.